/ Modified apr 2, 2018 10:38 a.m.
High levels of ground-level ozone, a summertime pollutant, are detected earlier. High levels of ground-level ozone usually don't appear in Pima County until May, but last year, the first detections were in April, and officials are on the lookout this year. 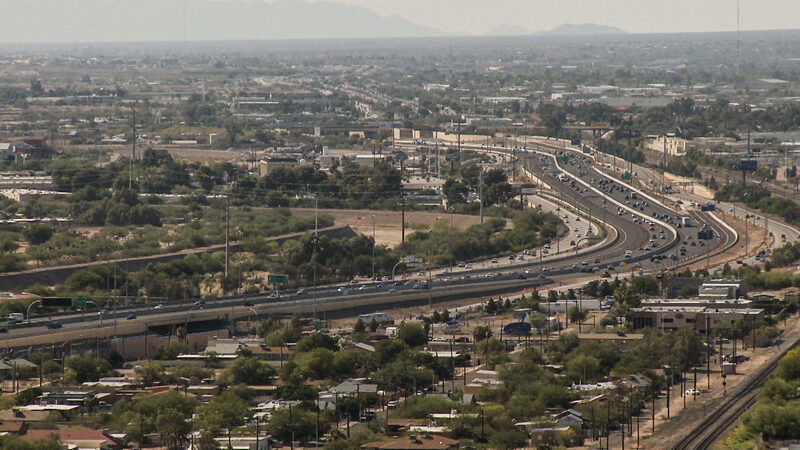 "We have noticed, over the last year or two, that we're seeing higher levels of ground-level ozone earlier in the year," said Beth Gorman with the Pima County Department of Environmental Quality. The cause of the pollution is "complicated," according to Gorman. She said ground-level ozone is caused by increased solar radiation, heat, still air and auto emissions. "There's lots of things that we can do to reduce these emissions that combine together in the presence of solar radiation to form this pollutant that is an irritant on people's lungs," said Gorman. The number one thing people can do to reduce ground-level ozone levels is drive less. 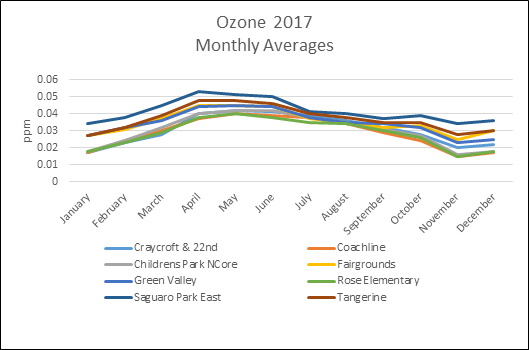 VIEW LARGER Year 2017 ozone levels in Pima County. Data show Pima County is just below the federal health standard for ground-level ozone. The data are based on three-year averages of the pollutant in Pima County.